Conference/Workshop Information Looking for conference/event news? Banner conferences and workshops are held in many countries of the world. Out of Our Minds Banners' conferences are simple, fun and pragmatic. They lay a foundation for the effective use of banners and flags in Christian worship and spiritual warfare. Hands-on and practical, these workshops are ideal for worshippers aged from 3 to 99 years old! They will benefit beginners through to those more experienced in the use of banners and flags. Out of Our Minds Banners has qualified and experienced banner coaches based around the world. They are available for travel to your town or city for conferences and workshops. Read more about OOOMB coaches in your area. Understand guidelines for etiquette, and when and where to use banners. Experience appropriate warm ups, stances, grip, and banner movements for personal and corporate worship and warfare. Learn how to use banners in deliverance ministry. Receive an overview for how banners and colours were used in the Old and New Testaments, and how they are being used in worship and warfare around the world today. Be introduced to a range of hand-painted silk banners, exploring their history, meaning, and some potential uses. Become confident in using banners in spontaneous, free worship. Understand how to work together with others in unity for celebration, worship, warfare and ministry. Have time to experience the power of banners in prophetic worship, intercession and spiritual warfare and to worship our awesome Creator creatively. "I have had the immense pleasure of seeing the hand of God minister in a deep and powerful way after receiving this excellent training. I sincerely recommend these conferences for people who desire an extra edge to their prayer life through Christ-inspired instruction about 'Wielding Banners for Worship & Warfare.'" How do I organise a Conference or Workshop? 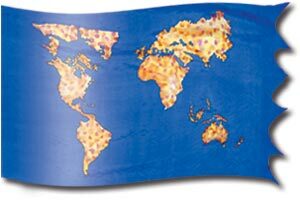 Banner workshops are held in many countries of the world. If you would like one of OOOMB's experienced banner coaches to visit your city, conference or training event please make a Conference Booking enquiry! "Awesome as an army with banners!"